Was it for better or worse? With the growing popularity of Korean skincare, the thought of having an extensive routine is starting to become the norm for many Pinays. Although excessive, the said multi-step regimen (it goes from five to ten steps!) promises to give you the best skin of your life. But what if you were to cut it down to just three steps? Would your skin become worse or better? 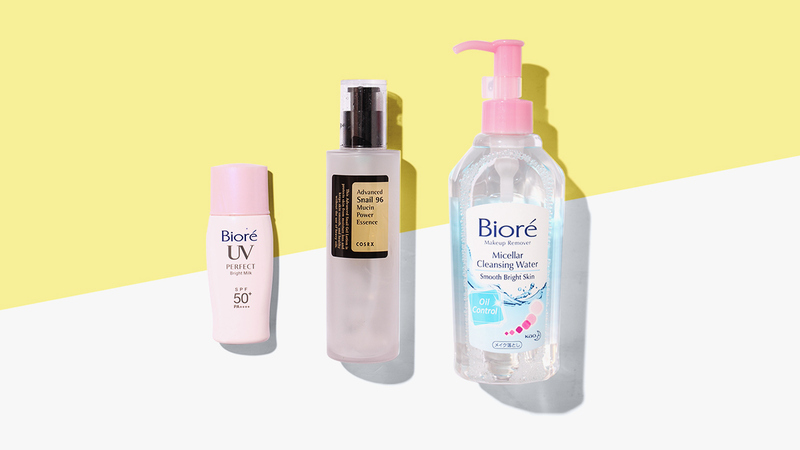 To answer these questions we asked one Cosmo girl to only use three skincare products for seven days. See what happened in her beauty diary below! I didn't notice any difference in my complexion. Okay, something changed. My face normally gets shiny and slick, but I noticed that it felt drier and tighter than usual. Applying makeup was a breeze, though. My nightmare came true: My skin felt like it lacked moisture, and I had tiny bumps on my cheeks. What I didn't expect to happen in this experiment was for my lips to get super dry, too! Applying lip balm several times during the day did not help. The dryness, which started on my forehead, began to spread around my cheeks and chin. It was a struggle not to scratch the areas because if I did, my face might become red and flaky. It was only now when I noticed that my face felt tight every time I applied sunblock on my face. I think it was because of its mattifying formula, and my cleanser and essence weren't enough to hydrate my skin. I saw chicken skin and tiny bumps on my face (Huhu!). I never thought it was possible for my skin to have a weird texture from this experiment. I seriously can't wait to go back to my original routine. My complexion has never been this dry in my entire life. My whole face (even my lips!) became dehydrated and itchy. I controlled myself from picking the dead skin off my chapped lips. I was so relieved that it was the last day of my 3-step skincare routine! I think the sudden change in my routine was too much for my skin to handle. My complexion became dry, and I guess it lacked the nourishing care that my face usually got with my previous regular regimen. While I found that having a 3-step skincare regimen is matipid, I wouldn't recommend it to women and men who have complexions that need intensive care. If you're trying to pare down your routine by a few steps, I suggest that you do it gradually or just take out one product at a time.